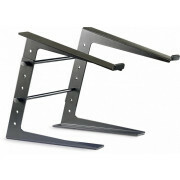 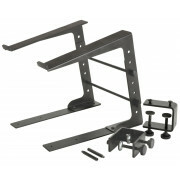 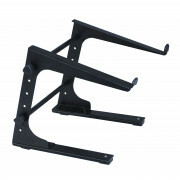 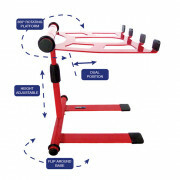 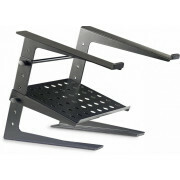 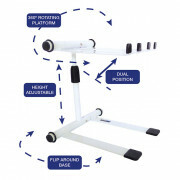 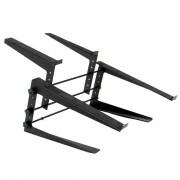 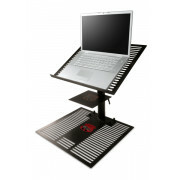 We sell a variety of height adjustable, non-slip and multi levelled laptop stands to suit all skill levels and personal preferences. 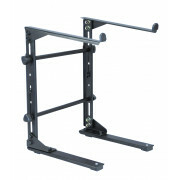 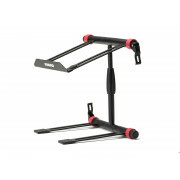 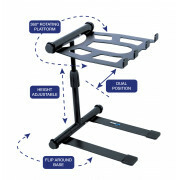 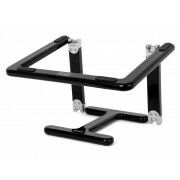 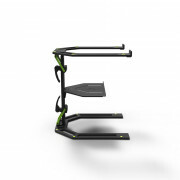 From our excellent value Soundlab G001DA laptop stand complete with carry pouch for easy transport – to our Stanton Uberstand with its lightweight frame and additional shelves for your effects units or MIDI controllers. 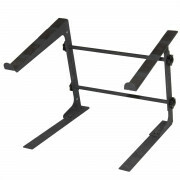 For your studio or club installation, the Magma Control Stand is the best DJ equipment stand for reliable use, as it holds Pioneer CDJ as well as Native Instruments and Numark - along with many other DJ controllers and it can even hold your DJ laptop or Apple iPad. 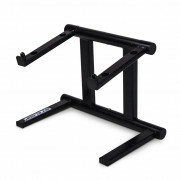 Our Ultimate Support LPT1000S stand really is the ultimate support for your DJ laptop – its two-tier portable frame comes with adjustable support arms and tiers for your USB hubs, hard drives and other laptop and DJ accessories. 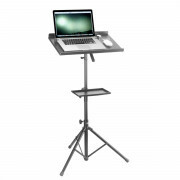 Take your DJ kit up to the next level with our Road Ready RR-FSSSS free standing laptop stand for sale online with us today; this features a single CD player, turntable or laptop tray as well as a turntable base plate and RRSERATO attachment tray – included for Serato interphase.